Now is your chance to "own a piece of history!" Central Maine and Quebec, formerly known as Montreal, Maine & Atlantic, is dumping Ed Burkhardt's collection of ramshackle power packs in auction. The auction also includes units from San Luis Central. The railroad is 13 miles (21 km) long, located between Sugar Junction (east of Monte Vista, Colorado) and Center, Colorado. The company is owned by Rail World, Inc., which is controlled by Ed Burkhardt. Burkhardt is listed as president of SLC. 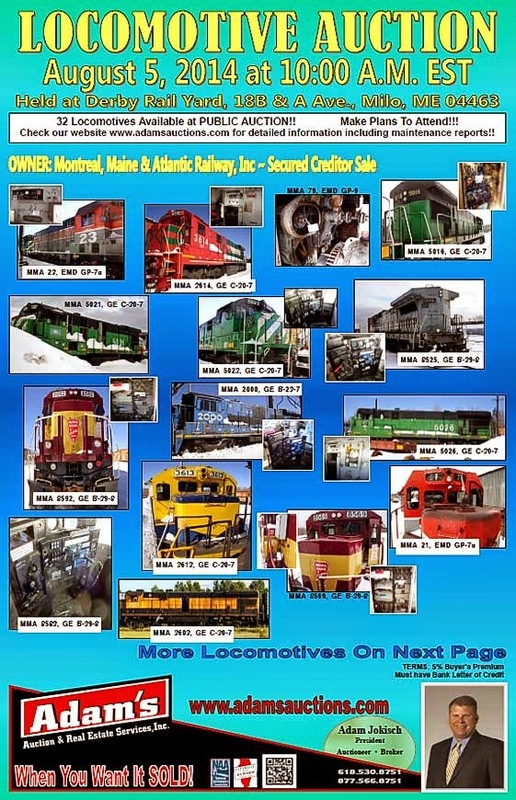 Apparently, Central Maine & Quebec is leasing nine SD40-2s and seven GP-20s. 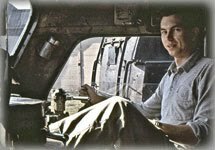 I have contacted the railroad twice to learn more about the units, with no response. "Many of the other MM&A locomotives advertised by the auction house come with problems, from graffiti to missing parts. Some units are likely worth little more than scrap value," says the online ad. 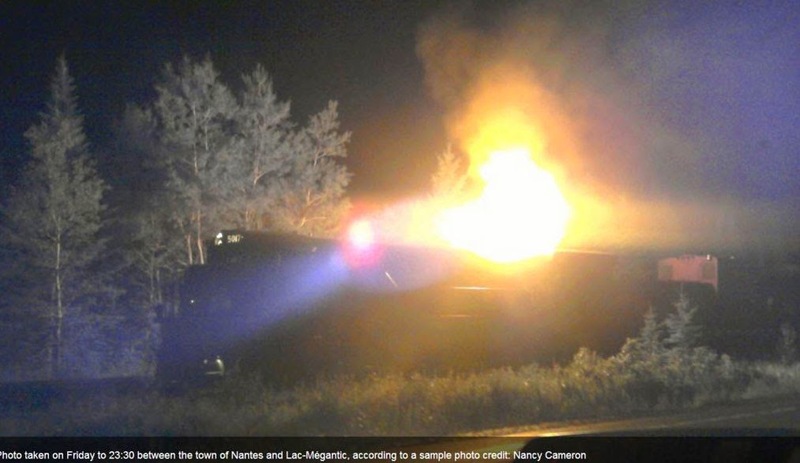 "Quebec provincial police are attempting to prevent the auction of the former Montreal, Maine & Atlantic GE C30-7 locomotive that played a key role in the July 2013 Lac-Mégantic rail disaster," wrote Andy Blatchford of The Canadian Press on July 23, 2014. “A spokeswoman for the Sûreté du Québec said Wednesday (July 23rd) that investigators initiated measures to block a U.S. auction house from selling the locomotive until the end of legal proceedings. 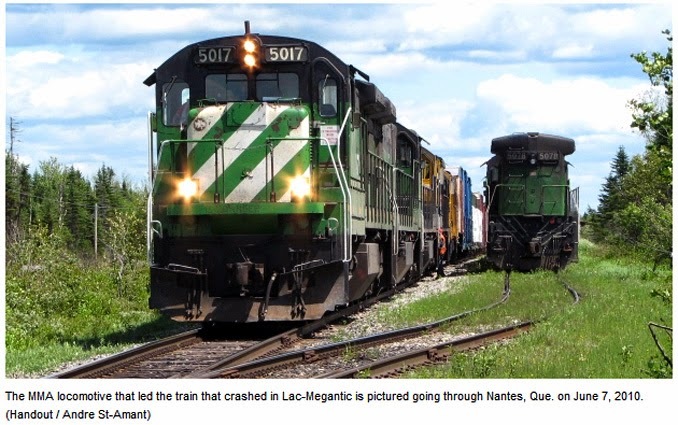 News of the police move surfaced after a report by The Canadian Press on Wednesday revealed that locomotive MMA 5017, the lead engine on the train that smashed into the Quebec town last summer, was due to go to auction in Maine on Aug. 5. 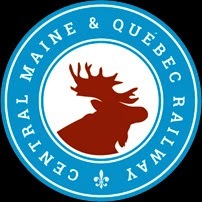 Three employees of the now-insolvent Montreal, Maine and Atlantic Railway have each been charged with 47 counts of criminal negligence causing death, one for each victim of the crash. The MM&A itself is also facing the same charges. MM&A 5017. General Electric (GE) C30-7, 3,000 hp. Built 10/79, as BN 5017, sn 42581. Later BNSF 5017. Retired from BNSF 03/99. Thence to MM&A as 5017. This was the unit that suffered the machine room fire, setting off an explosive chain of events a year ago this month. Click on MMA or Montreal Maine and Atlantic in the index below, for all previous articles posted on this disaster. Chef Ramsay Awakens from his Kitchen Nightmares!